25th I Was Doing You a Favour! Honey Pie is a nine year old rescue Bichon. She likes to surprise her Mommy. 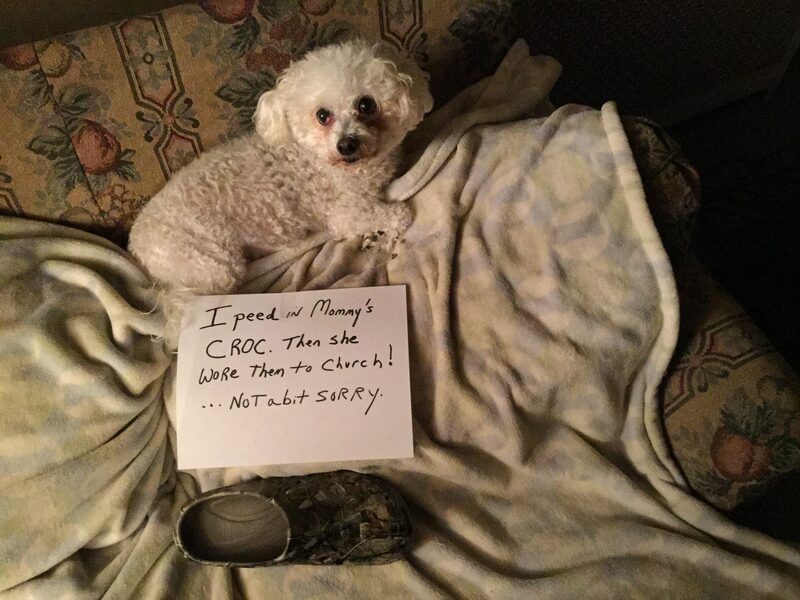 Like when she peed in her Croc shoe then Mommy wore them to church! I Was Doing You a Favour!